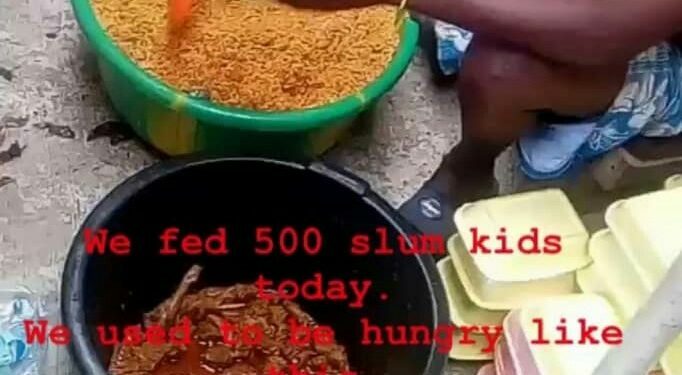 Popular Nigerian kids’ dance group, “Dreamcatchers” who also have a support foundation, the dream nurture foundation have shared a video where jollof rice was served to be given to kids from the slum. 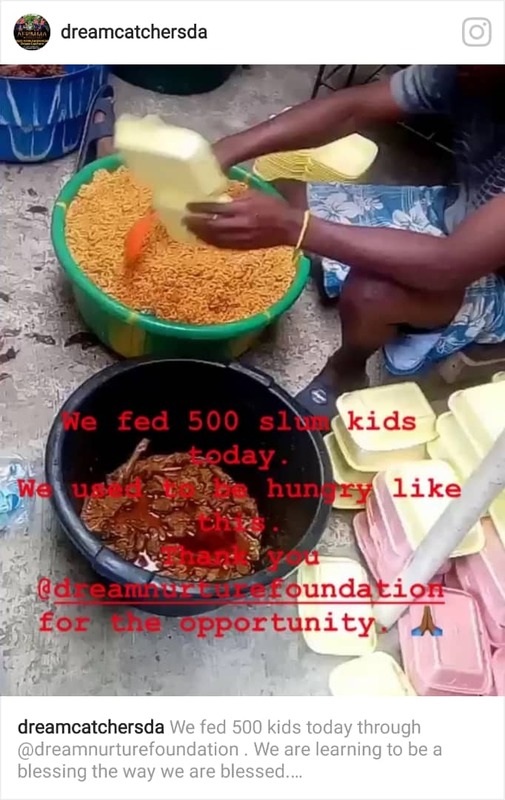 “We fed 500 kids today through @dreamnurturefoundation . We are learning to be a blessing the way we are blessed. We used to be like many of these kids. Scrambling to eat and looking for the next meal. That’s why we wanted to be there. They ate. We danced with and for them. Gave them back to school materials. Gave out some of our old books and school bag just to put a smile on the face of slum kids. #we hope you can also help us go back to school in the coming weeks and put a smile on our face. Just like one plate of rice wasn’t small for our friends today. Your donation can never be too small. Everything added together will go a long way. If you’d like to donate to help us in school. Donate here 0122685406 The Dream Nurture Foundation. Wema Bank”.